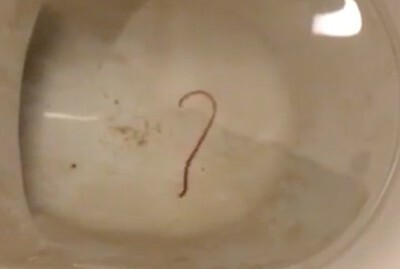 While we know that he discovered this worm in the toilet, our reader didn’t explain if the discovery occurred after he used the toilet, or if the worm simply appeared. 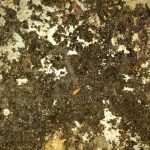 This small detail can make a huge difference in identifying this worm. 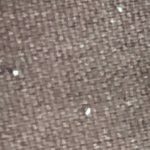 Humans become infected with ascaris worms, or small intestinal roundworms, when they eat plants that have grown in soil where ascaris worms have deposited eggs. Ascaris worms are long, cream or light pink, and fusiform, which means both ends are pointed. However, this is a small detail we can’t make out from the video our reader sent. According to the Center for Disease Control and Prevention, most people that are infected with ascaris worms show no symptoms. However, some people might experience intestinal blockage or have a cough. We recommend that our reader visit a doctor as soon as possible. We aren’t medical professionals and therefore cannot give advice about this situation. 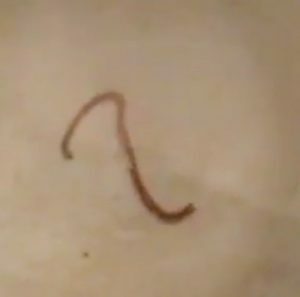 If our reader found this worm in the toilet, but he doesn’t think the worm is from him, we think it could be an earthworm. Earthworms end up in toilets fairly often, as they might travel up from the pipes. In fact, we write about this very scenario about once a month! 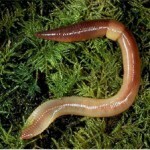 If our reader did find an earthworm, he can remove it by hand and bring it back outside. To summarize, our reader discovered a long worm in him toilet. He thought it might be an Ascaris worm, which is a parasite. If it is not an Ascaris worm, we think it might be an earthworm. Regardless, we encourage our reader to see a doctor who can advise him on this situation as soon as possible! 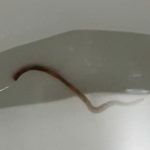 A reader discovered a long worm in his toilet. 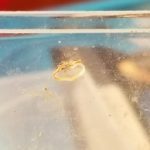 He thought it might be an Ascaris worm, which is a parasite. If it is not an Ascaris worm, we think it might be an earthworm. 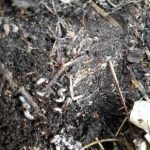 Where Are Earthworms Coming From? 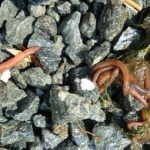 How Long Can Earthworms Live Underwater?